Mostly the characteristic of color of the wild red is intense dark red with hardly any other mixture of other colors like green or yellow patches. It will be pretty hard to find any guppy which has red covering more than 90% of the fish. 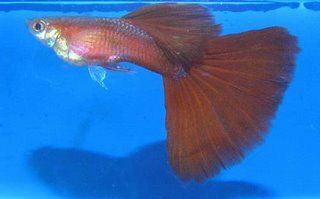 As for the body, this strain of guppy mostly comes in very broad body built, which makes it more beautiful.